GOOFY: We gotta catch Pete before it's too late! ALL: Hey! DONALD DUCK: Ah, phooey. DAISY: Our super power bands! 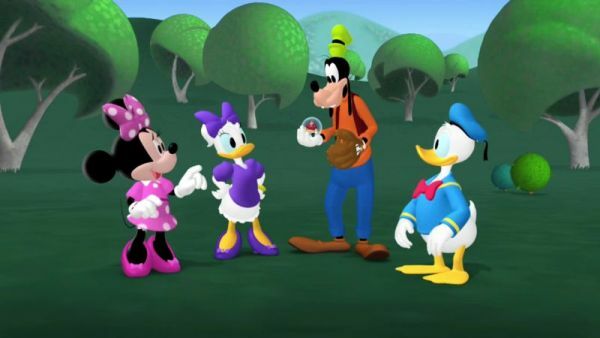 GOOFY: Gosh, they're all red. MINNIE: And you know what that means. MINNIE AND DAISY: Our super powers are gone! MINNIE: Oh, dear. 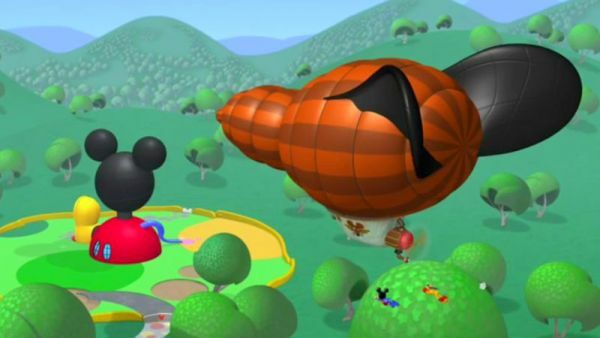 I hope Mickey and Pluto are OK. MEGA MORT: OK, Clubhouse. It's shrinking time! 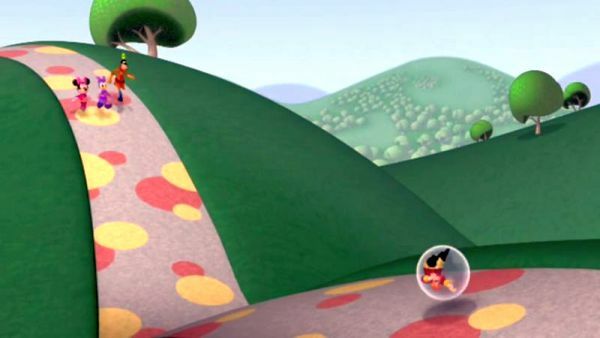 MICKEY MOUSE: Mega Mort, we're not gonna let you shrink the Clubhouse. Uh-oh! Ahh! Whoa! Gosh, I'm tiny. And I'm dropped. Pluto, go get the Clubhouse heroes! DAISY: Oh, no! Hold on, Pete! MINNIE: We've got to catch Pete with a mouseketool. 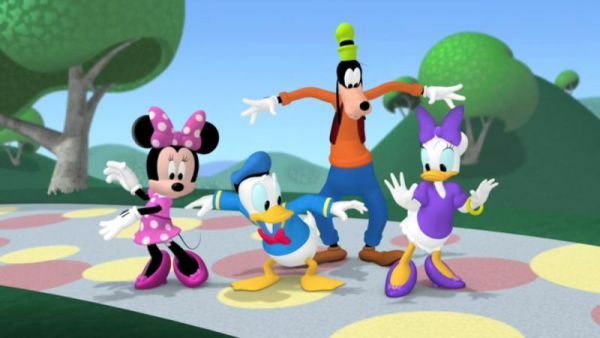 DAISY: Everybody say, oh, super toodles! ALL: Oh, super toodles! TOODLES: No need to shout, super toodles will help you out. DAISY: We've got a catcher's mitt. 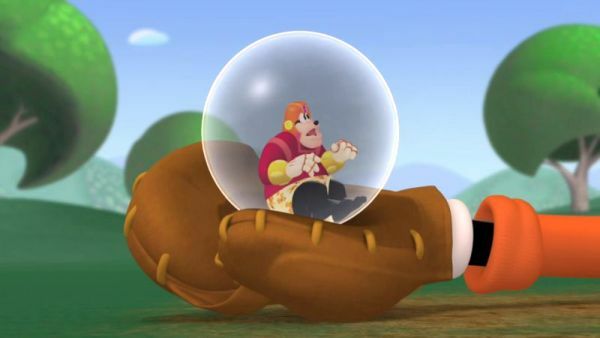 GOOFY: The catcher's mitt, that's good for catching stuff like a baseball. Or a flying, tiny Pete. MINNIE: We've got super ears. Say cheers! MINNIE: Daisy, catch! DAISY: Donald! DONALD DUCK: I got it. I got it. Goof! GOOFY: Got it! PETE: Oh, I can't watch. Hey, I'm alive! MINNIE: Hooray! DONALD DUCK: Oh, boy! DAISY: We did it! PETE: Oh, thanks for saving me! Boy, you guys are a great team!